Obviously I knew something wasn't right, as I definitely populated data in the application, which I could easily see. But it was not detected in AXIOM, so I had to dig into this a bit more. Obviously one of the main aspects in our career field is that we trust tools to extract known data from known places, but at any time that can change and we have to update our methods (and tools) accordingly. I told Jessica about a possible new discovery when I found this at the beginning of November, which I had to put aside for a few weeks as I took part in an incident response case. This week I was able to jump back into it again, and worked on trying to figure out exactly "what" was happening here. 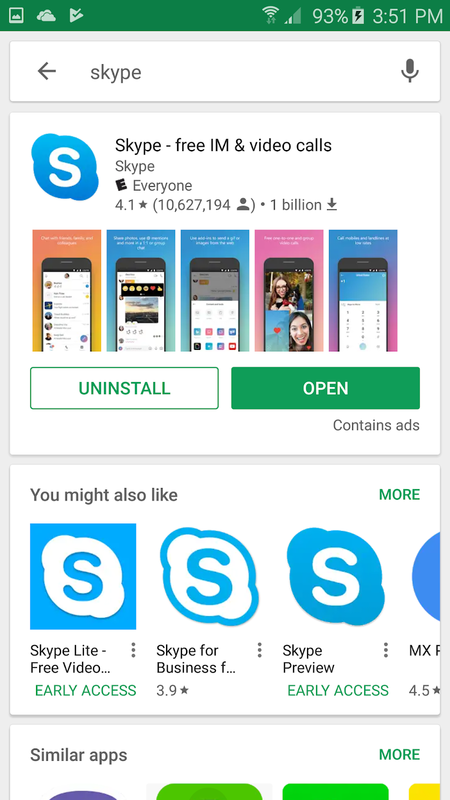 Initially, the thought was that Skype had changed a whole bunch of stuff. As it turns out (thankfully) that is not quite the case, but it does bring up a couple of issues to keep in mind if you are looking at mobile devices with Skype usage. 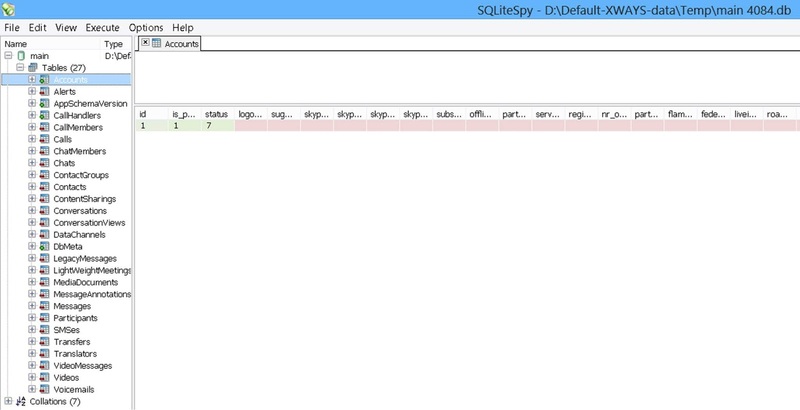 The first item to note is the presence of the file "main.db". Historically this was located under the "databases" folder, but now it is located under the "files" folder, specifically under the subfolder "live#<username>". Naturally I was drawn to the "live:iamsarahthompson1990.db" database, as the other two databases have fairly mundane names, plus the file size was considerably larger. Chapter 4: What the heck is going on here?? After much discussion on exactly "what" was happening here with Jessica, it turns out that it is actually a couple of things that all combined to have the data stored like this. First of all, remember the model number that I listed? Well, this is the Global version of the Galaxy S6 Edge. That means that some apps are pre-bundled, and in this case Microsoft apps (including Skype) were included by default. 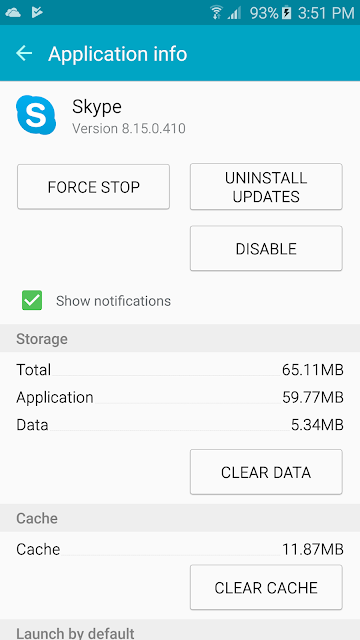 After I updated the app to what looked like the latest version on the Play Store, I did my data pull (I chose to do this, rather than pull from APK Mirror, because I wanted to see if the latest app version was supported with my tools). However, one important caveat to note, is that this device is running Android 5.1.1 (because it is super easy to root an older version of Android and get a full image of the device, which is what is needed for the data analysis portion of the Cyber Sleuth workshop). 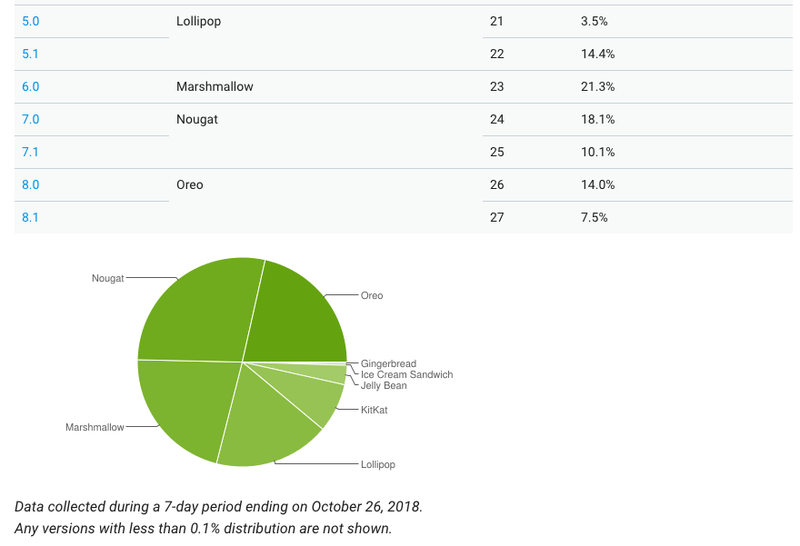 Android 5 currently accounts for almost 18% of all Android devices on the market (kinda surprising, I know). 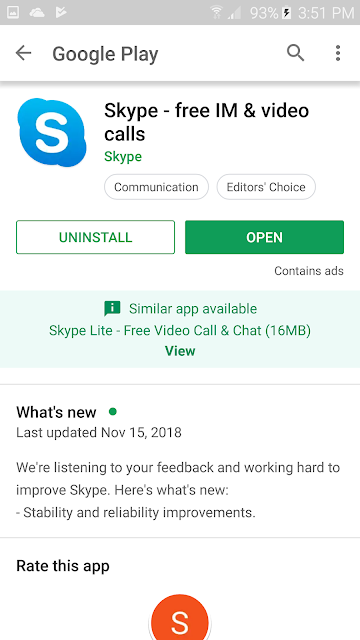 The issue here is that although according to the Google Play Store I was updating to the latest version of Skype, in reality because the "new" versions of Skype are not compatible with older Android versions (by default the SM-G925F (told you that you would see it again) ships with Android 5), it was actually installing "Skype Lite". Even though, as you can clearly see from the screenshots, the Google Play Store was telling me that "Skype" was indeed installed, and "Skype Lite" was not. As you may have guessed, Skype Lite actually stores data in a different fashion than traditional Skype itself. Most of the tools on the market today are set to handle Skype data, but not Skype Lite. This is the reason that AXIOM did not detect Skype data, because it does not (yet) have the support for Skype Lite, it only has support for Skype itself. 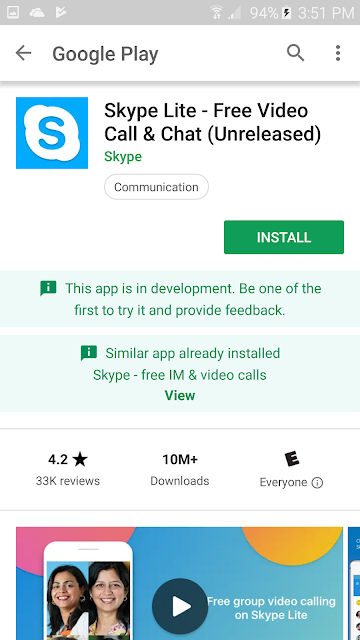 And although it was initially suspected, Skype itself did not undergo a drastic change, it was just a combination of things that resulted in Android/Google Play/Skype doing something that was totally unexpected, because of the the base installation of Android that was running. If you made it all the way down here, congratulations for sticking with this adventure. It has definitely been a fun one! Always remember that, at the end of the day, tools are just tools, and they have limitations and shortcomings. In a perfect world every tool could handle all the data from every application from every device. But we all know that is not going to happen. Don't be afraid to dig into the data itself, because you might find that an entire data structure is not being parsed properly. Or that the formats have changed. Or, you may find through a series of events that your device is running a different application, with a different storage structure, than what the device is "telling" you what is really running!